our new WEBSITE for Koloa Jodo Mission. First of all, I'd like to thank supporters who made this possible. It was "I" who bought this domain, but it was my Dharma friends, supporters and members who gave me offerings. Without receiving these offerings, I'd never start a website. At this blog, I'd like to introduce not only my everyday life but also Japanese culture, Buddhism, Philosophy, gardening, nature, and photography as much as I can do. Honestly speaking, I don't have any confidecne to continue this for a long time, but I'm pretty sure that this blog could be intereting for you because of my various experiences in the past, present, and maybe in the future. And it is my hope that many people could know and practice Buddhism thorough this website. 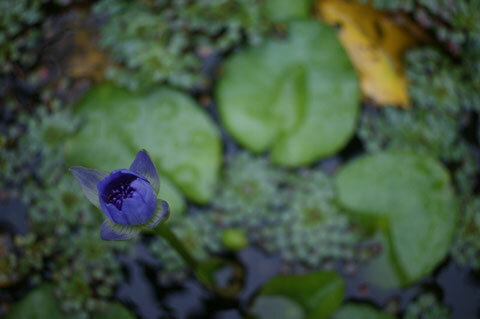 Water lily in the picture is finally blooming! It took almost two years since I propagated the plant.